It is a fact that there are fake locksmiths who are currently impersonating local and established locksmith companies and they have advanced their game by initiating strategies aimed at taking advantage of people who are in an emergency and in need of locksmith services. As a homeowner or entrepreneur, you are in your most vulnerable state when you can’t gain access to your home, business location or vehicle. In such a situation, you are most likely to take actions without due considerations because you’d want to solve the problem as soon as possible. We become victims of scammers and unregistered service providers because of our inability to get prepared for emergencies, and they take advantage of this to either scam or make us pay outrageous fees. 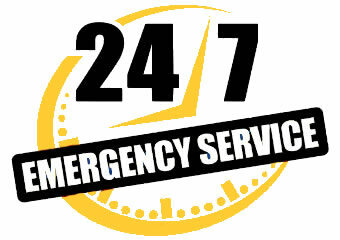 As a homeowner, you don’t need to wait until you have an emergency before contacting a local locksmith. Preparing for an emergency entails that you should know ahead of time who to call and try as much as you can to save their contact information in your phone, diary, purse or wallet. For residents of the following areas Atlanta, Chamblee, Stone Mountain, Brookhaven, Tucker, Smyrna, Norcross, Dunwoody and all surrounding areas, kindly save the phone numbers of professional locksmiths from QuickPro Locksmith so you wouldn’t be confused when there is an emergency. Ensure you inform the locksmith to come with his id and if possible a copy of the companies license. Though there are states that don't require licensure, which is why it's paramount that you conduct a research before an emergency to get all information applicable to your state. Locksmiths from QuickPro Locksmith come with their id’s, customized bags, and they will also ask for your identification to ensure they are about unlocking the right home. Do not be mislead by price misrepresentations and false local addresses to hire a fake locksmith because the security of your home should be your top priority. Therefore, call registered and expert locksmiths from QuickPro Locksmith to ensure exceptional services at competitive prices.